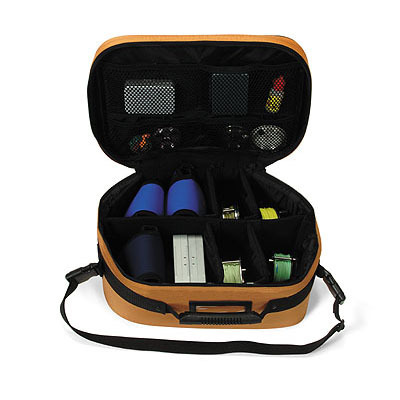 A fly reel case is used to safely transport your fly reels when you are traveling to your favorite fishing spot. Even if you don't have an expensive fly reel, you don't want it to get damaged. How disappointing it would be to travel a few hours to your favorite spot, only to find out when you arrived that your reel was damaged in transit and won't work properly. As you can see, a case for your fly reels can come in pretty handy. These cases can be found in single size, that holds a single reel, or in large cases with dividers to hold several at a time. While they can be useful when taking your reels out fishing, they can also stay home and hold extra reels safe from tangling, dust and mishaps. A single reel case can be found from $5 to $20. This price range offers you a range of high quality cases that will keep your reels safe. The cases in this price range are compression molded and covered with an impact-resistant shell made of nylon for easy cleaning. Foam inserts inside help protect your reels. These single cases come in a variety of sizes to fit most freshwater and saltwater reels. You even get to choose from several colors. For a real bargain, you can find a single case that comes in four different sizes that features an easy to use Velcro closure. Just slip your reel inside and slip it in your pocket! An even bigger bargain for the angler on a tight budget, there is a very simple case that slides over the reel made of neoprene. The handle of the reel sticks out of on one side, so you need to be careful it doesn't get caught on anything, but it does come in several sizes to fit many different sized fly reels. 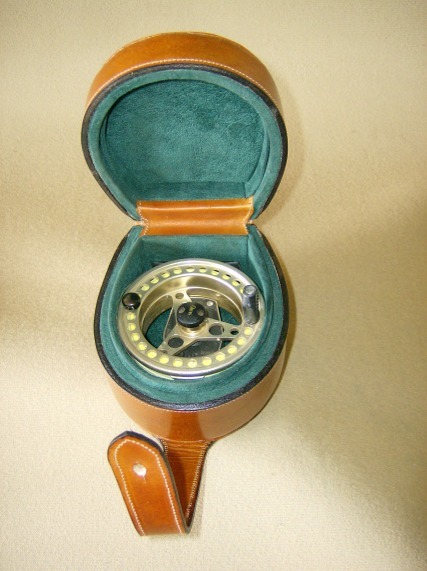 If you have several reels to take care of, you may prefer a case that can hold more than one. For prices ranging between $16 and $29, you can choose from several styles that will keep all your reels safe in one place. These cases feature soft padded sides and molded tops and bottoms. They look a little like the soft, insulated lunch coolers that are available. They are available in small, medium, large, and extra large sizes. The size you need will depend on how many reels you want to store, as well as the size of your reels. These reasonably priced multi-cases feature interior pockets to keep small tools and accessories safe. They also have adjustable, removable padded dividers inside, so you can adjust the storage capacity so it works best for you. A jacquard webbing carry handle is easy on your hands when you need to carry it any distance. They also fit airline standards for carry-on luggage, if you don't want to subject your valuable reels to the baggage handlers. If you only have a couple of reels, you may want to consider another version in this price range that holds two reels securely. It features an integrated belt loop so you can access your reels easily while wading. And since the reels lie in a convenient side-by-side design, they also fit well in a vest pocket or bag of gear. For a top of the line fly reel case, you're looking at a price of at least $69. The cases in this price range are fully padded. They offer plenty of room to hold your reels, extra spools of line, and even fly boxes. The bottom is compression molded for durability. The padded dividers inside are adjustable and removable so you can customize the case to fit your needs. Interior pockets with zippers for security are great for storing extra tippets and leaders. A padded shoulder strap makes it easy to carry along with the rest of your gear. These cases give you a roomy 13" x 9" x 5.5" to use. Now that you know what you can choose from, pick a reel case that fits your budget and will keep your fly reels safe and sound.